As with every year this year’s team consists of four MSc Brewing and Distilling students from Heriot-Watt University. Unique to this year is the addition of a Graphic design Student, responsible for making our enticing beer even more so. Despite our different backgrounds, we hold in common a love for craft beer. The NSB project allows us to combine our strengths and develop a product that we can be proud to put into the world of beer. 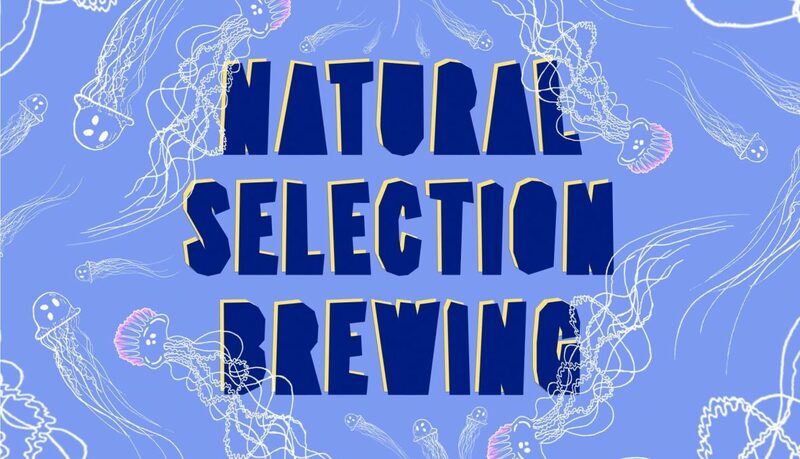 Introducing… 2019 Natural Selection Brewing team! Danielle Whelan – Hailing from across the pond, Danielle left sunny Ohio to study her Masters in Brewing and Distilling in Scotland. After completing her undergraduate degree in Chemical Engineering, Danielle was drawn to brewing by its combination of science and creativity. As Project Coordinator of the team, Danielle is undoubtedly the conductor to the cacophony of noise that is: NSB 2019. Caroline Gilmer – Also an American export, Caroline left her stetson back in South Carolina to realise a career in the beer industry. With her degree in Biology, concentrating in chemical and sustainability studies, Caroline is particularly interested in the social, environmental and ethical implications of breweries and distilleries. Responsible for the Sales of our product this year, Caroline will be punting our wares to beer drinkers nationwide. James Pugh – Chester born Jim left his Brewery Assistant job with Beavertown to come North and continue his formal education. An avid home-brewer and a recipe designing whizz, your NSB product this year is in incredibly safe hands with Jim at the helm of recipe development. As our Brewer, Jim is tirelessly tweaking our trials, ensuring only the highest quality product reaches our customers. Fred Newell – After a spell working for Stewart Brewing as resident cask-jockey, Fred decided to rejoin the world of academia to see what they knew about this beer malarkey. In charge of our Marketing, Fred will be promoting the NSB presence throughout Edinburgh and further afield. Look out for beer festivals, collaboration brews and tap takeovers in the coming months to fill your boots with NSB goodness! Though each of us has a specific department of expertise, the project is ultimately a group effort. By sharing ideas, and drawing upon each others strengths, we hope to ensure the smooth running and success of this year’s venture.